Think ‘class system’, and you’ll likely think of Britain, with its obsessive classifications of social status and increasingly fragile social mobility. Yet, according to a diplomatic corps insider here in The Hague, ‘class’ is very much alive and well in Dutch society. The Netherlands, a country renowned for its Calvinist frugality, is not a place you’d imagine to be stratified along lines of class. Perceptions can be misleading apparently. 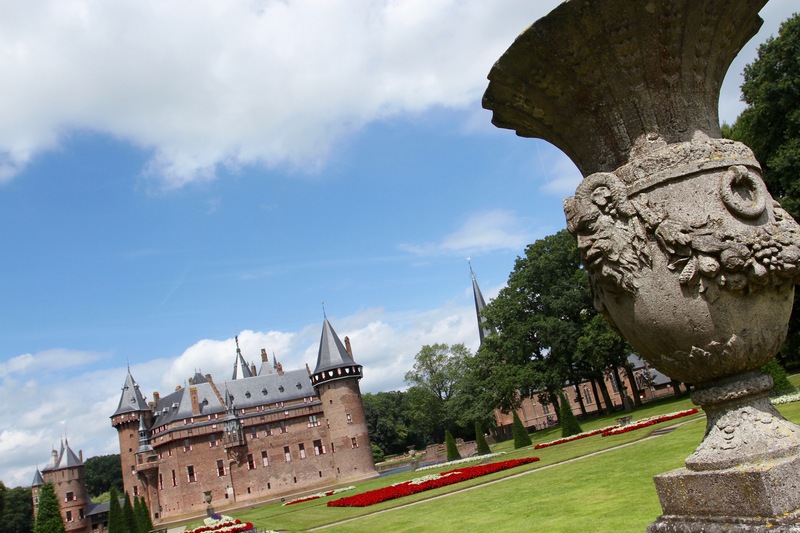 A visit to the extraordinary Kasteel de Haar brings you face-to-face with the Dutch aristocracy. 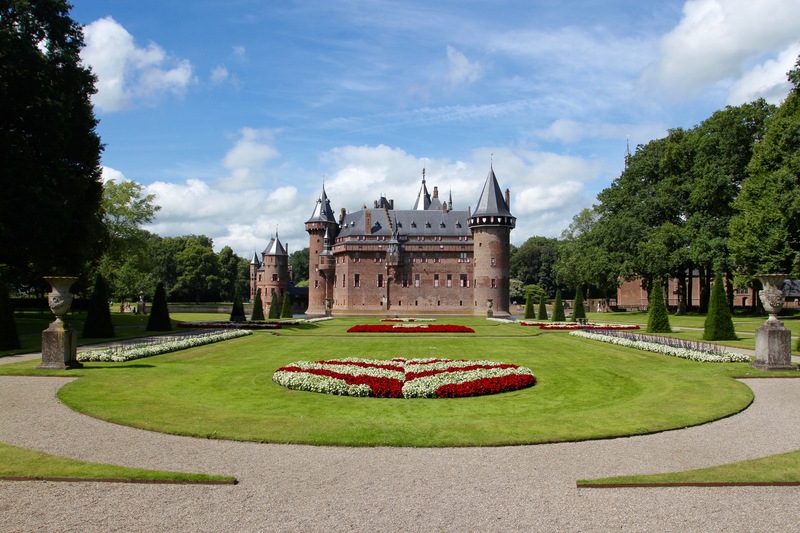 As if anticipating that very observation, the castle’s own website states: “You will be amazed at the very un-Dutch luxury in which the Van Zuylen family and their guests lived amidst a wealth of history and art.” It’s certainly a very different Netherlands that you encounter once inside the grounds of this sumptuous place. 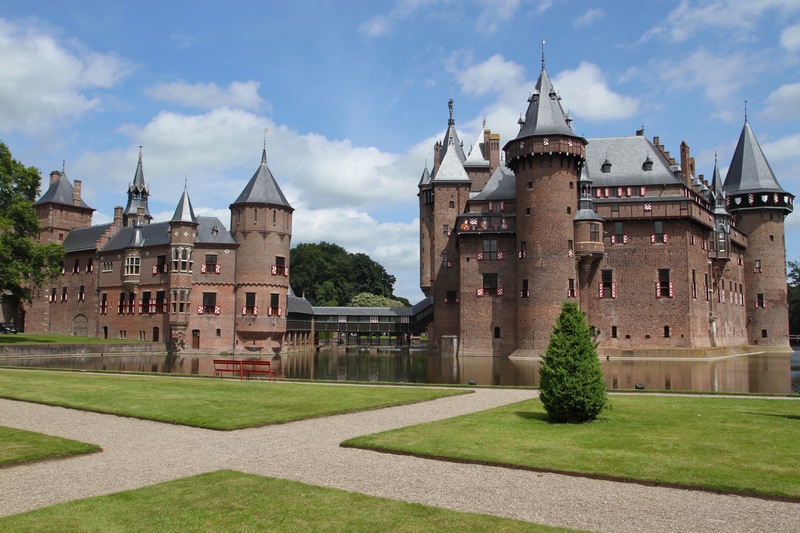 Kasteel de Haar looks and feels like the perfect medieval castle. 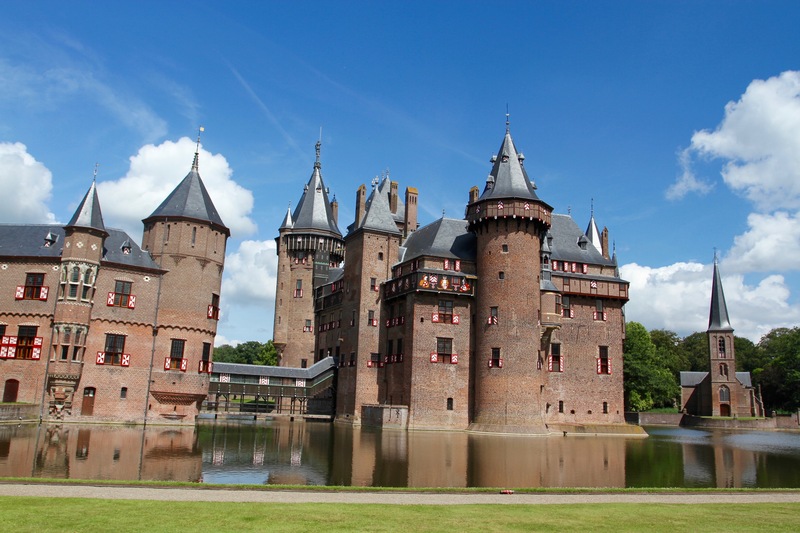 There are towers, turrets, drawbridges and a moat, but a little like the deception of a classless society, it too is a fake. 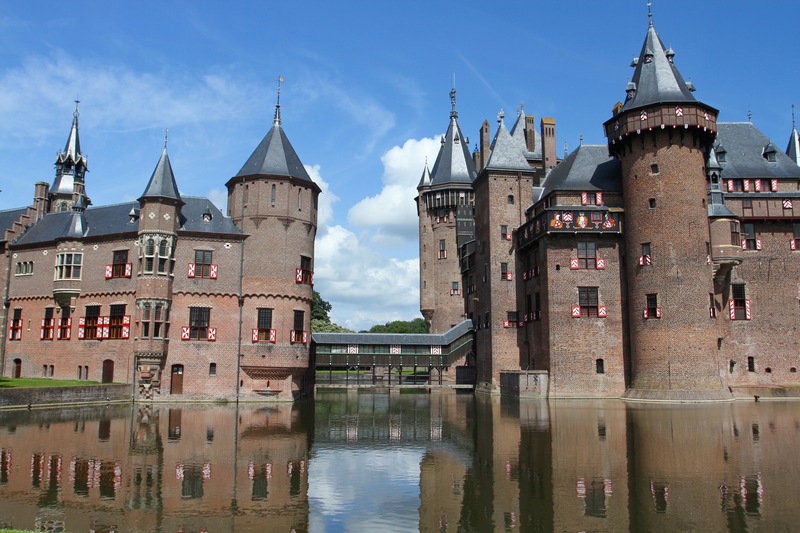 There was a castle here in medieval times, and the current castle is built on its foundations, but the building you see so elegantly reflected in the moated waters is almost wholly from the 19th century. 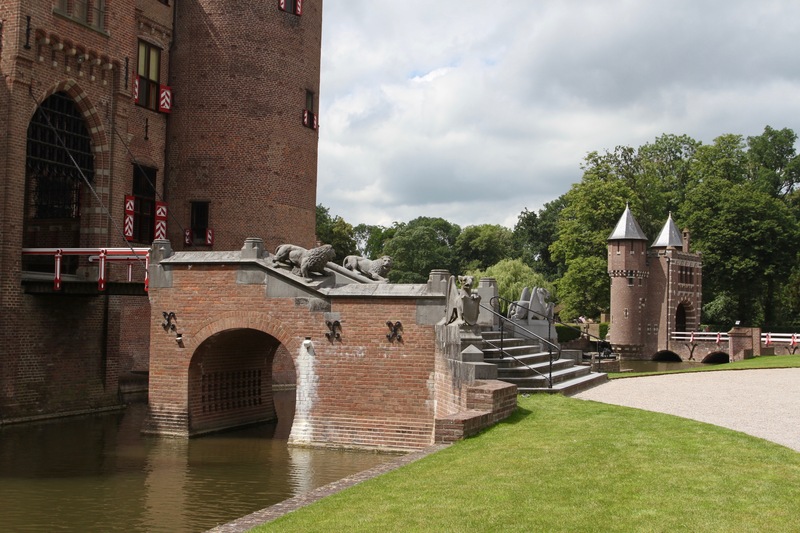 The original castle dates from the late 14th century, when it was in the hands of the De Haar family. 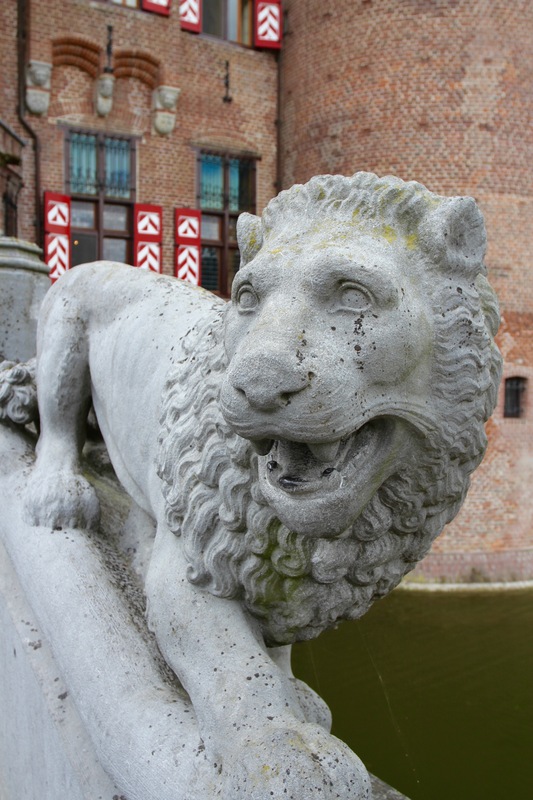 In 1440, the De Haar’s ran out of male heirs and it passed to the Van Zuylen family. In the 18th century the castle was only rarely lived in and had little military importance, and it fell into disrepair. In which state it remained until inherited in 1890 by Etienne Gustave Frédéric Baron van Zuylen van Nyevelt van de Haar (try saying after a couple of glasses of Jenever). Over twenty-years, between 1892 and 1912, the castle was rebuilt. It took no less an architect than Pierre Cuypers (who built Amsterdam’s Rijksmuseum and Centraal Station) to complete the job. It also took a small fortune to finance the rebuilding. Conveniently, Baron van Zuylen was married to an heir of the Rothschild banking dynasty, Baroness Hélène de Rothschild. Presumably money wasn’t an issue. 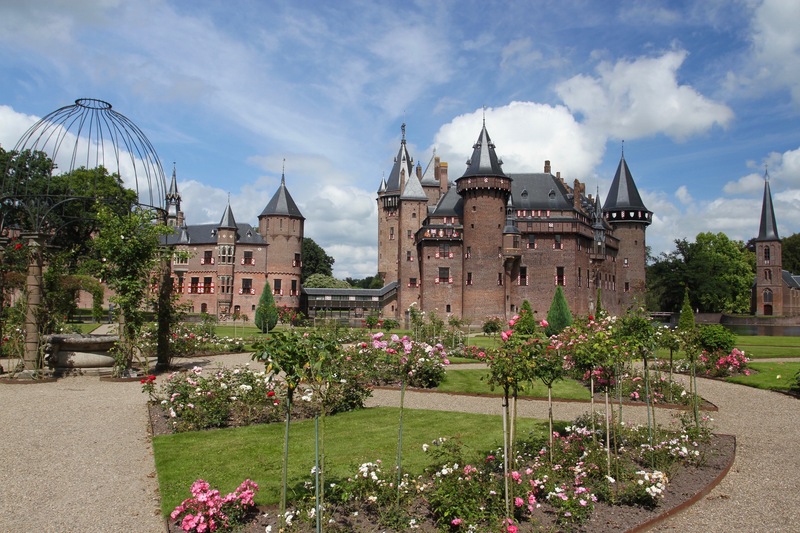 Inconveniently, when the castle was in ruins the village of Haarzuilens had grown up in the area surrounding it. Having a village on his doorstep was definitely not in Baron van Zuylen’s plans. 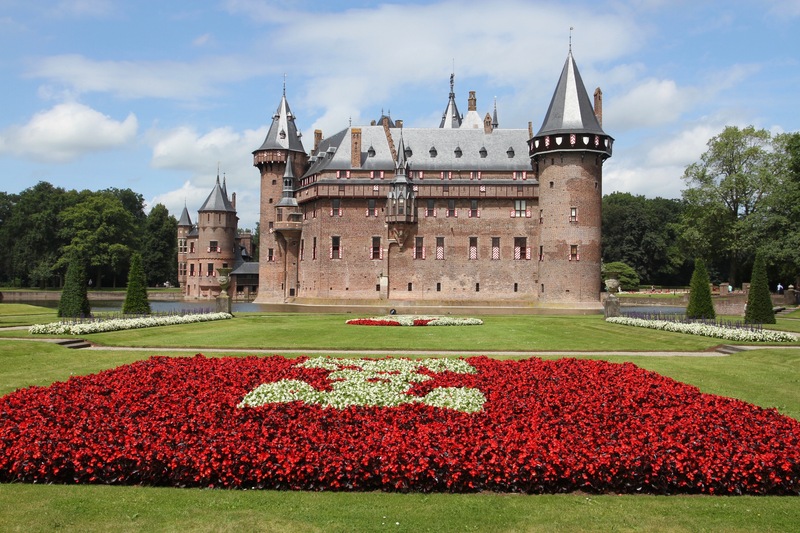 Haarzuilens was demolished and rebuilt a kilometre away, making space for Kasteel de Haar’s picturesque formal gardens in its place. The only building that remains is the former village church. 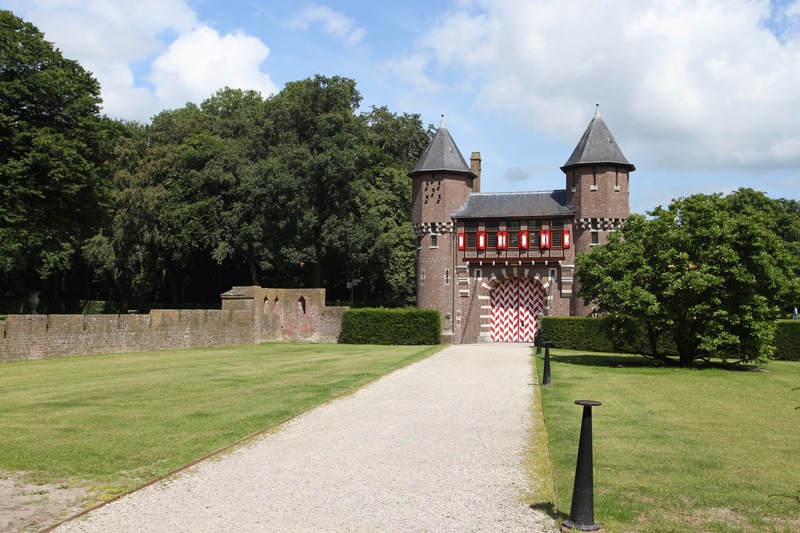 The castle has been owned and managed by the Foundation Kasteel de Haar since 2000, but the family still have rooms for when they’re in residence. 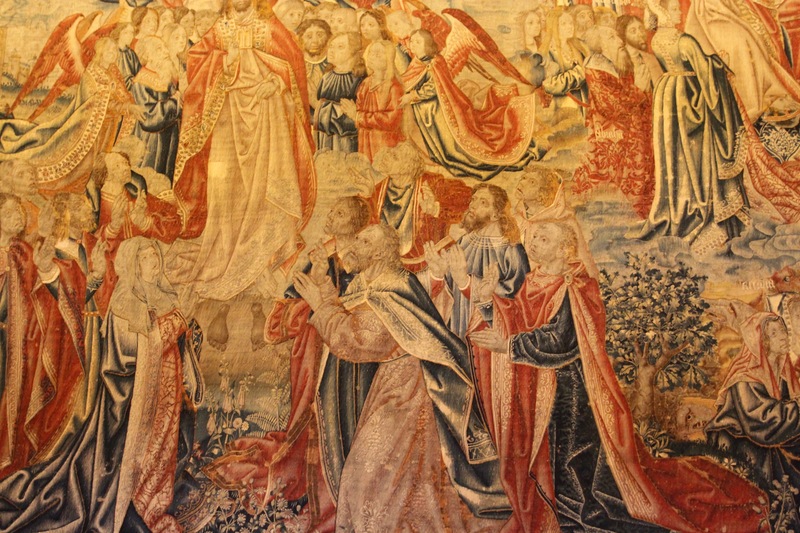 The interior of the castle, which you can visit independently or on a tour, has an odd collection of genuine medieval tapestries, paintings from the Dutch Golden Age, and all the mod-cons of the early 20th century. They make for strange bedfellows. 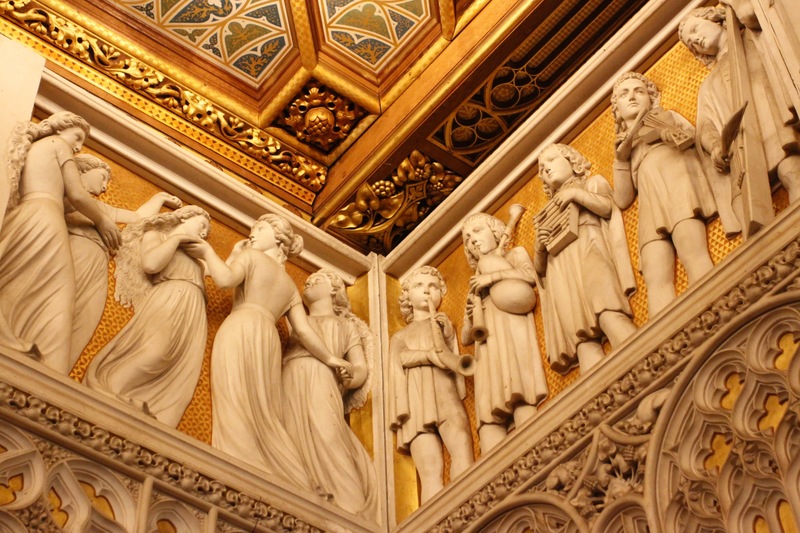 Not many rooms in the castle are open to the public, but it still gives you a sense of the lifestyle of the owners. As do the photos of the parties that were held here. Over the years guests have included, rather improbably, a mixture of European aristocracy, American high society and a range of celebrities – Joan Collins, Coco Chanel, Roger Moore and Yves Saint Laurent to name but a few. The interior doesn’t take long to look around, which leaves more time for wandering the pleasant grounds and drinking in the majestic vistas across the countryside or towards the castle … just try to block out the fact that an entire village was demolished to create those vistas.